This is the optional stainless steel stand accessory for the Citrus Max Orange Juice Extractor (12000-446). 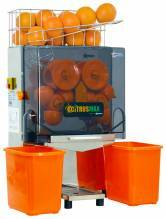 It comes with a polypropylene bucket to collect citrus residue. Freshly squeezed juice shouldn’t be hard to come by. Keep you customers hydrated and satisfied, knowing that they’re getting a vitamin-enriched beverage, with a heavy duty orange juice extractor. Omcan’s orange juice extractor makes it easy to get every drop of orange goodness in every cup. This unit features an output speed of 20-oranges per minute. A basket on top can hold your oranges for easy access in no time. This machine is easy to clean with all pieces easy taken off by hand. It features a simple twist off the orange dials to remove the screws and take pieces off for easy cleaning. Worried about spillage? Don’t be! Omcan’s juice extractors come with a drainage system that makes every drop of juice fall right into your vessel making for 100% optimum production. Making juice has never been easier to clean. 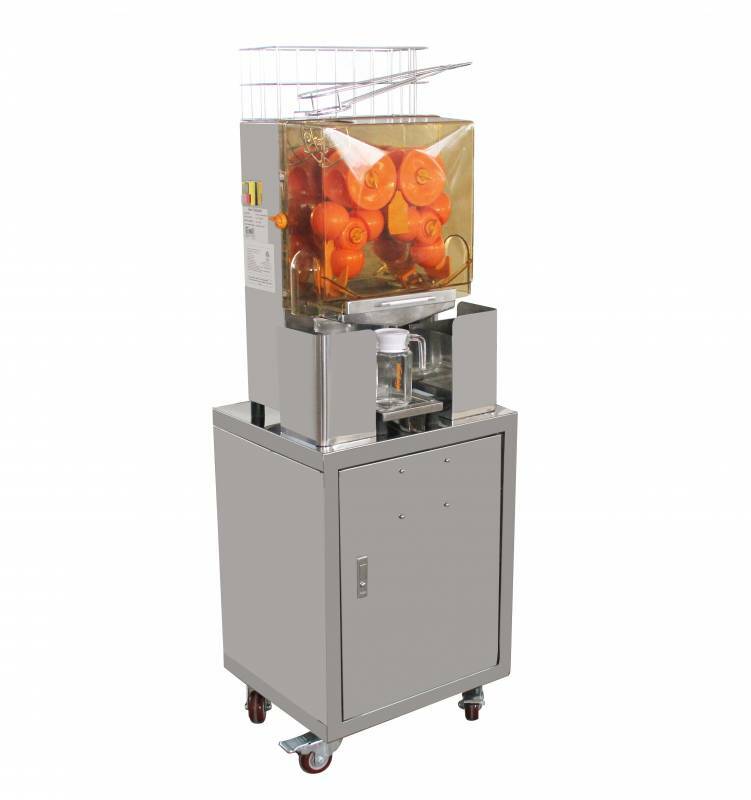 This unit is suitable for lemons, limes, oranges, and small grapefruits. Starting increasing the productivity of your customer service with guaranteed freshly squeezed orange juice in less than a minute!